I love this time of year! Everyone is cheerfully awaiting the holidays, sitting by a fire, drinking hot cocoa, and making plans to spend cherished time with loved ones. Unfortunately, with all the excitement enters stress, especially if you’re playing host or hostess. Don’t fret; I’ve come up with some inspiration ideas for getting your home holiday ready. 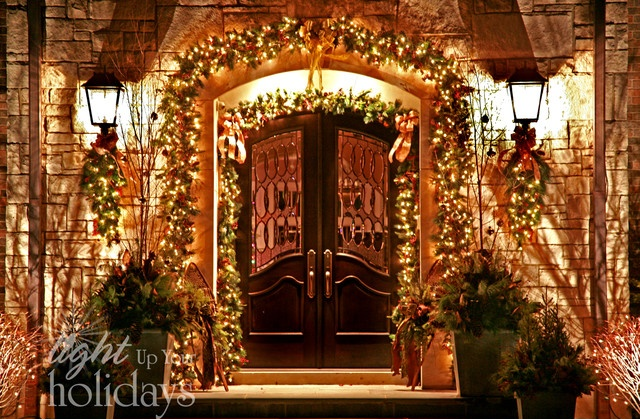 The front entry really sets the festive tone of your home. Adding a few potted evergreen plants beside a door truly makes an entry more inviting. The added benefit of potted evergreens are their ability to transcend more than a single holiday. Display the plants for Thanksgiving, then add a strand of lights and ornaments for a whole new look for Christmas. A wreath is also a nice and simple decoration to add. 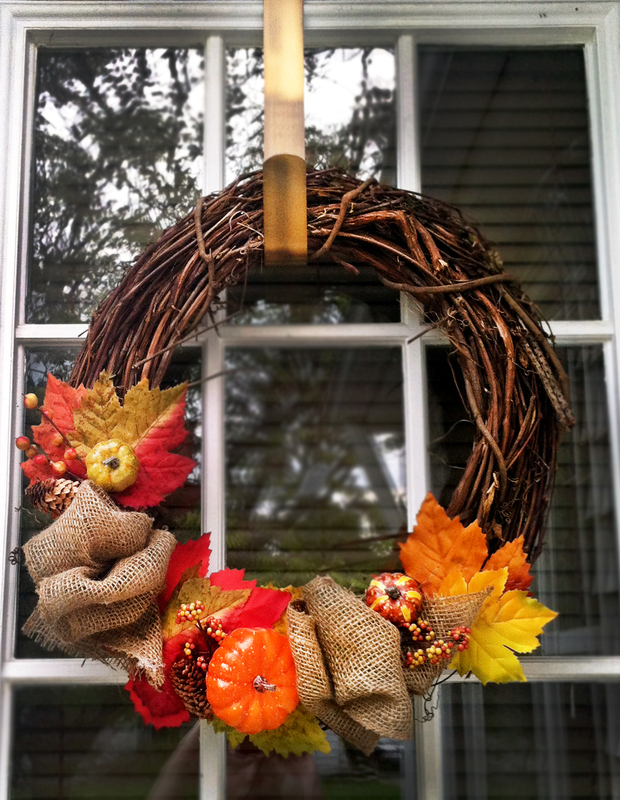 There are myriad styles and themes of wreaths out there, too! This year I decided to tap into my creative side and make my own. If you love crafts like me, it is simple to make customize your wreath. I visited my local arts and crafts store, selected a medium-sized, plain wreath, and selected little items I could apply with my hot glue gun. It was a wonderful feeling seeing it take shape, and I placed it on our door for the neighborhood to behold. I also plan to make another for Christmas. It’s important to recreate the warmness of the entry in your foyer. If you live in a colder climate, clear a space in the coat closet for guests. 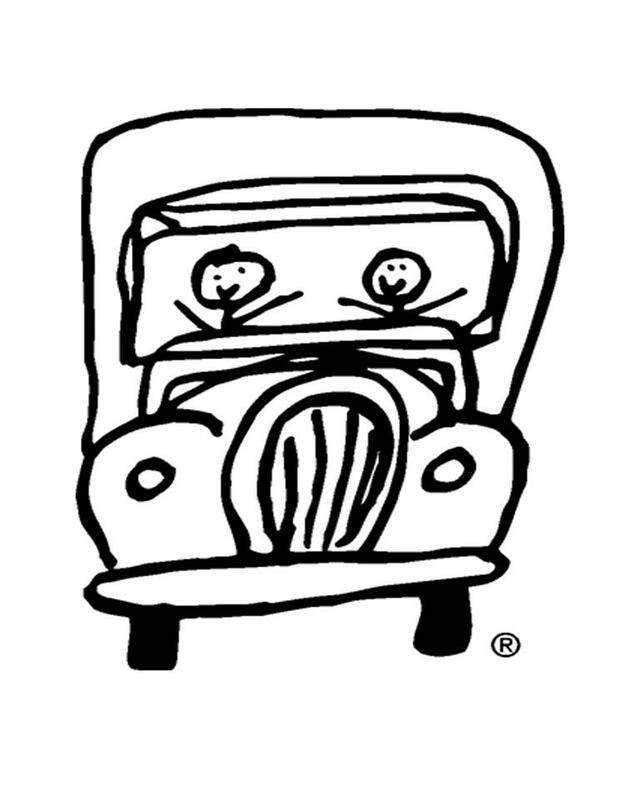 Designate an area where visitors can place their wet shoes, and provide a basket for mittens and hats. This will help you maintain a tidy and organized entry while you entertain. Music is also an essential component of the holiday atmosphere, engaging one of your guests’ key senses. Power up your iPod and select a favorite holiday playlist as guests enter the party, grab a glass of cheer, and mingle with each other. As we all know the holidays are a time for giving in every sense of the word. A unique way to welcome guests is to set out a decorative bowl filled with small gifts. You can incorporate the gifts into your décor by wrapping them in festive wrapping or patterned paper from a stationary store. Gifts could be tiny boxes of candy, cards, mini games, small gift cards, and puzzles. 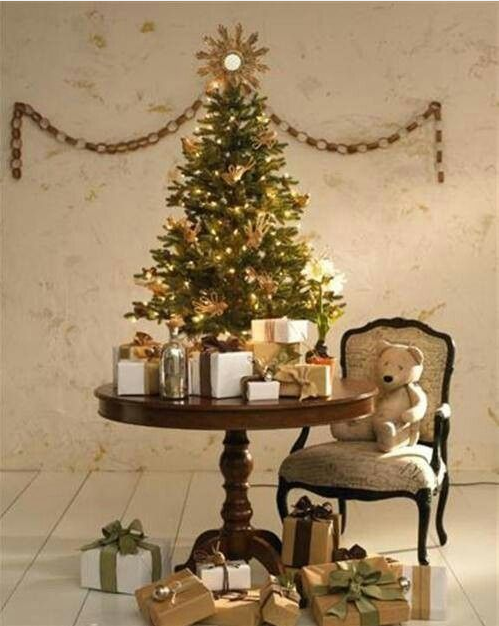 If you have adequate space, place a small tree on a table and surround it with the gifts. This will be a pleasant surprise your visitors weren’t expecting. Now that your guests have been awed by the grand entrance and are working their way to the main living space, ensure they are comfortable. De-cluttering your home may seem overwhelming, but by setting aside an hour to go through the main rooms of your home, your guests will feel the serenity of the space. Rid the gathering rooms of unnecessary items and be sure there is enough sitting room and walkways for guests to chat and relax. 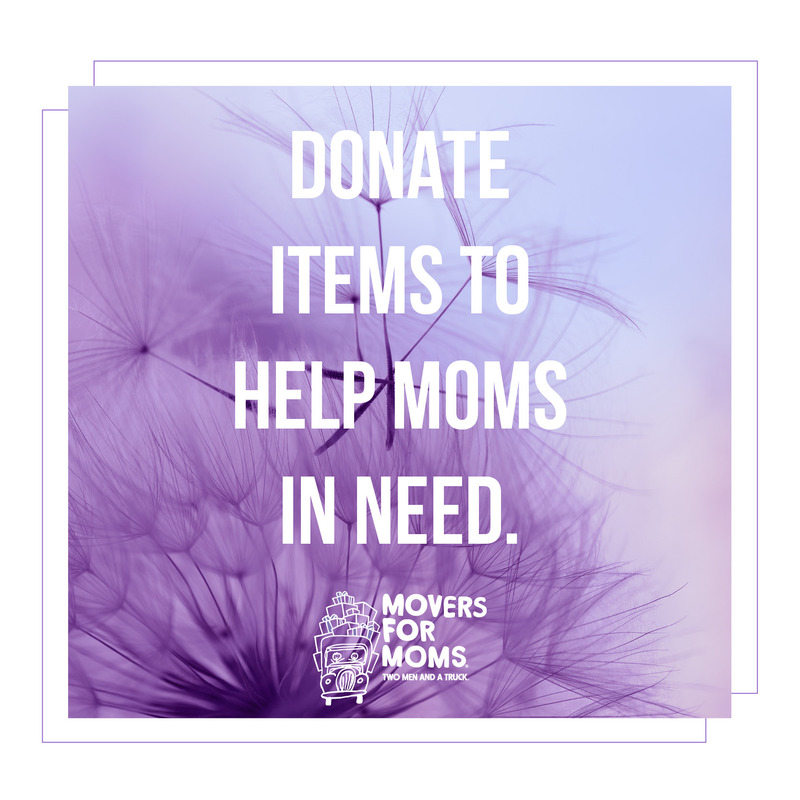 Since the holidays are a time of giving, it is the perfect time to donate any unwanted items. When setting the holiday table, be mindful of the details. I love including candles to my centerpieces since they provide a warm and intimate ambience. 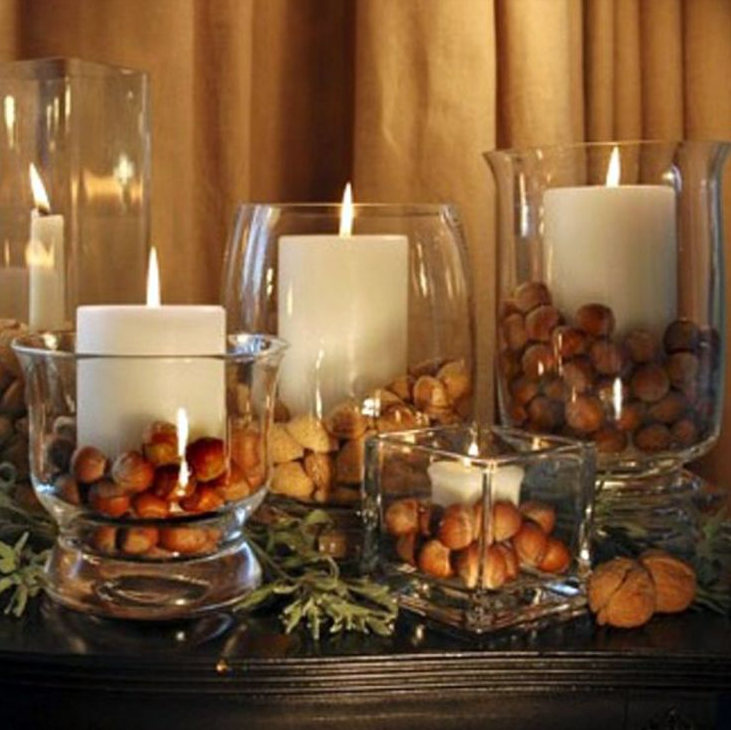 One of my favorite centerpiece ideas is to place candles in vases, lining the edges with acorns. I did this for Thanksgiving one year, and it was a simple project which produced rave reviews from my guests. As the Christmas season commences, spruce up the centerpiece ornaments around the base of the vases. 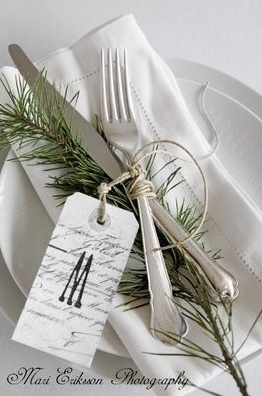 If you are arranging a formal place setting, spruce it up adding holly or greens. You can also transform an pine cone or ornament into name card holders. Taking a few extra minuets will show your visitors you care and are glad they’re celebrating with you. The guest bath and powder room are perfect places to infuse a little merriment. The addition of seasonally scented candles, a small poinsettia plant, and other little touches will drastically transform the room. Remember to replace old towels with festive, new ones and clear the counter of unnecessary items. I also love having a small basket of toiletries on the counter in the event your guests forget to pack important items. By taking a little initiative to focus on key areas of your home, your holiday event will indeed be one to remember. For even more holiday inspiration, follow us on Pinterest.